So that is my speech.... thanks for listening. My class is buzzing with speech writing! Everyone has picked their own unique topic and we are in a variety of stages of the process. Here's my job for the weekend, providing feedback to my 27 lovelies. Speech writing is another first in grade 4. Students haven't had this experience yet in their school career. It's important that I set them up right. The first thing that I did to get them excited for the huge task, is show them these two videos. They are both Ted Talks, but what's a bit unique, is that kids their age (or close) are giving the talks. I think that this makes the task a little more realistic for them. It also serves as a really good example of what a speech can look and sound like. After watching the videos, we assess what was good and what wasn't so great about them. We created a huge web of brainstorming. 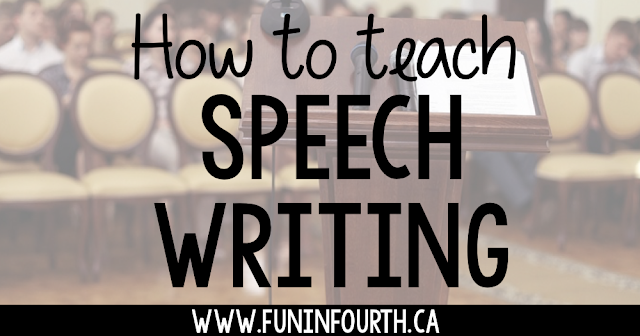 My kids were really impressed that the second boy was able to memorize his whole speech! They also thought both topics were really engaging and liked how they used a bit of humor to interact with the audience. They also said that the second boy was a bit distracting with all his hand gestures. We talked about how speeches can have any topic you choose, but it's important to pick something you have some knowledge about. We then ran through several pages of potential topics. 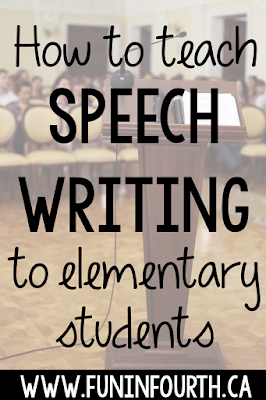 I noticed a lot of students ended their speech similarly... "So that is my speech. Thanks for listening." (Hence blog post title.) So boring!! We brainstormed lists of excellent words or phrases to use in the intro to hook your listener and then for the conclusion to leave them powerfully. My students are now at a variety of stages - writing, timing (speeches must be at least 2 and a half minutes in length), revising, putting onto cue cards, memorizing, working on timing or eye contact..... It really is a huge task! We select two students per intermediate class to present their speech at the school speech contest. Some are then selected to go on to the district speech contest. My entire class will be presenting within the classroom, though. Everything I'm using is put together into a package on my TpT store. 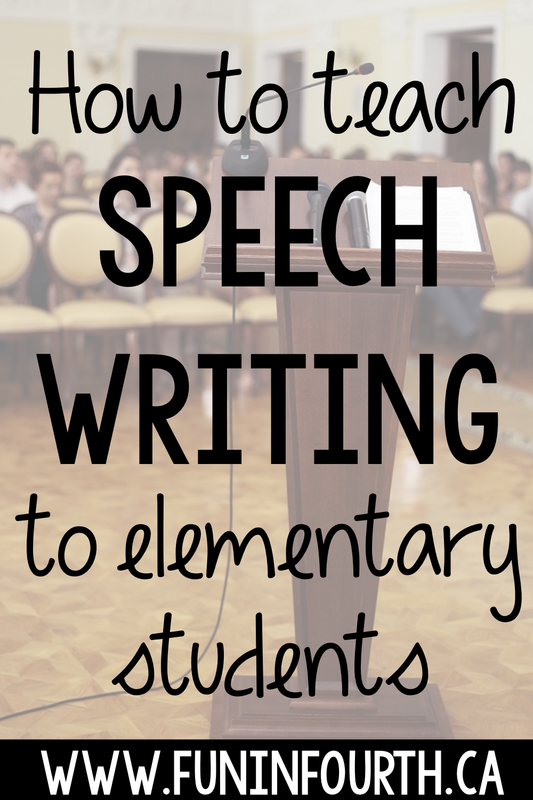 If you need to teach speech writing to your class, this is the package you need! Everything from topic ideas to information to judging sheets are included. Use these slides as anchor charts, or project while teaching. 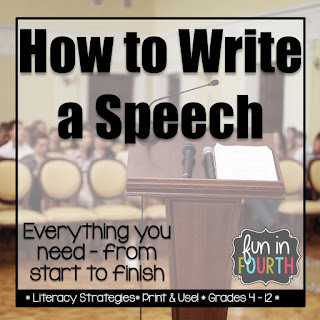 You will get:♥ What Makes a Good Speech? So that is my blog post. Thanks for reading.